You are Riddick, the most wanted man in the universe. The enigmatic anti-hero of Riddick is famous, of course, from the runaway sleeper hit of 2000–Pitch Black–and its sequel, The Chronicles of Riddick. 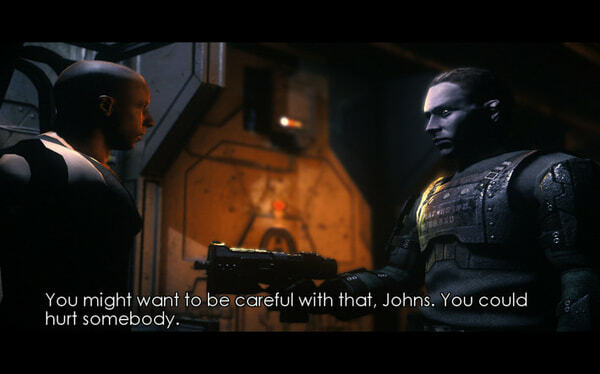 This game takes place before either of the movies, filling in some of the backstory of Riddick’s dark and dangerous past. 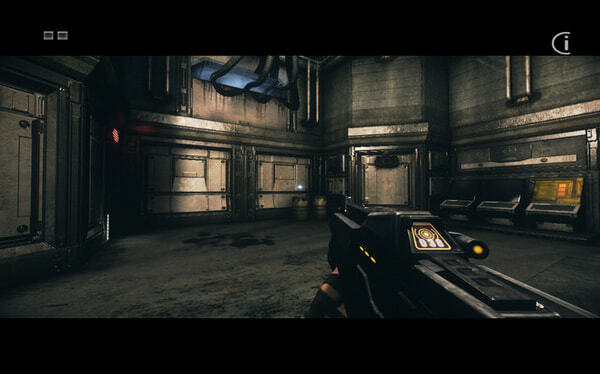 Make a dramatic escape from Butcher Bay, the galaxy’s deadliest prison, in this intense fusion of first-person shooter, fighter, and stealth adventure. There is a rule that licensed games based on movies are typically, well, not too good. The Chronicles of Riddick does not simply break this rule, it obliterates the rule and dances on its still-warm ashes. Some even say that this game has greatly exceeded the movies it was based upon. David Twohy (the scriptwriter for both Riddick movies) and Vin Diesel both contributed to the game’s development, assuring a maximum level of consistency with the world shown on the big screen. The level of polish is astonishing throughout the entire game. The stealth/adventure/brawler/RPG gameplay is slick and intuitive, characters are interesting and “alive”, and the combat is fun and visually realistic (which is a nice way of saying “bloody”). So find for yourself it you have what it takes to not only survive in Butcher’s Bay and assault the Dark Athena, the most dangerous places in the universe, but also make them bow to your will. 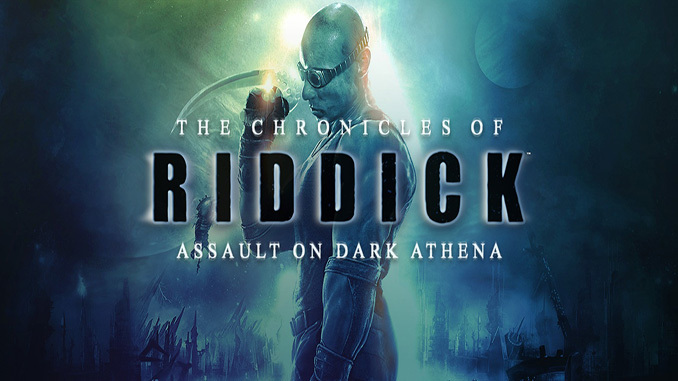 – The Chronicles of Riddick: Assault on Dark Athena includes a graphically enhanced remake The Chronicles of Riddick: Escape from Butcher Bay and the sequel, Assault on Dark Athena. 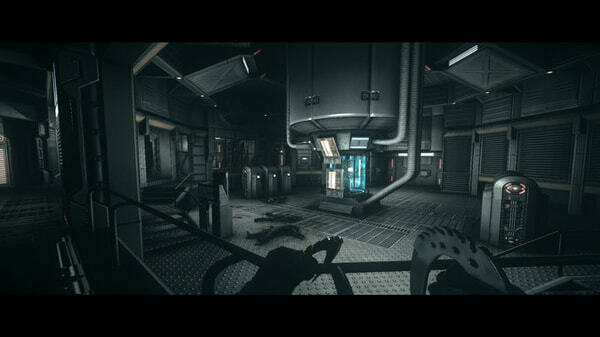 – This excellent game won a number of editor’s choice awards from places like IGN, GameSpot, and GameSpy. – The main character–Riddick–is voiced and partially designed by Vin Diesel himself. Windows® XP/Windows Vista®/Windows 7®, Processor: Intel Pentium D 805 or AMD Athlon X2 +3800, RAM: 1 GB Windows XP / 2 GB Windows Vista, Graphics: ATI Radeon HD 2600 XT or NVIDIA GeForce 6800 Ultra or better, Sound: DirectX 9.0c-compatible, Hard Drive Space: 11 GB. Keyboard & Mouse. You are Riddick, the most wanted man in the universe. The enigmatic anti-hero of Riddick is famous, of course, from the runaway sleeper hit of 2000–Pitch Black–and its sequel, The Chronicles of Riddick. This game takes place before either of the movies, filling in some of the backstory of Riddick’s dark and dangerous past.